NEW FOR 2013: Steve introduces the new Espresso Burst wrap. 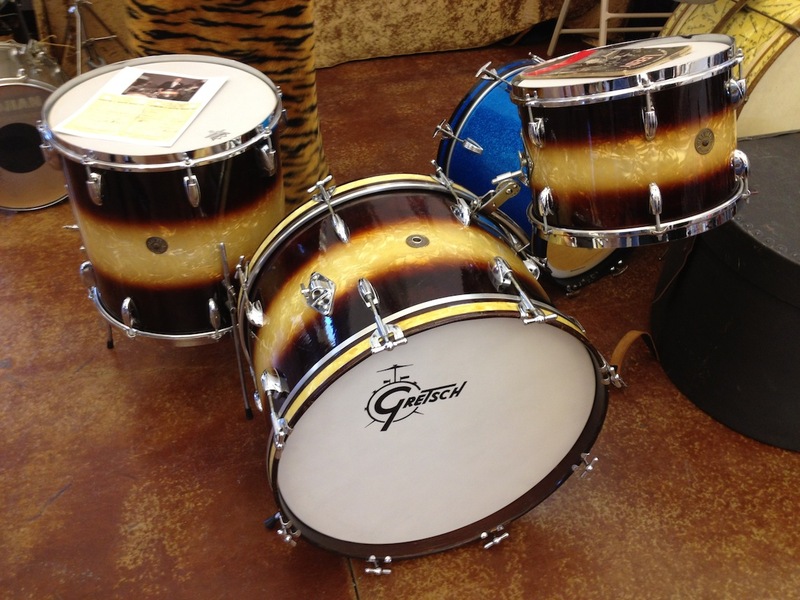 This wrap is designed exclusively for us and is available only on Gretsch USA Custom drum sets ordered through us. Available sizes include 8x12, 9x13, 14x14, 16x16, 14x18 BD, 14x20 BD, 14x22 BD, and SDs in 5.5x14, 6.5x14, 7x14. 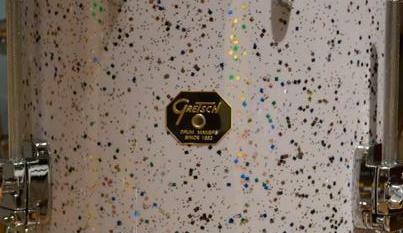 This finish was inspired by a custom finish job that we saw on an original 1950s Gretsch kit. The photo shown here is the very first kit off the line delivered 5/15/13. Down below our kit is the original 50s kit that inspired this idea. The finish is a vintage WMP with a duco-like appearance where the espresso color makes up the top and bottom bands and the middle is the vintage WMP. The original set was hand lacquered over the WMP wrap. Our finish is a complete wrap with the bands of espresso/vintage WMP/espresso. 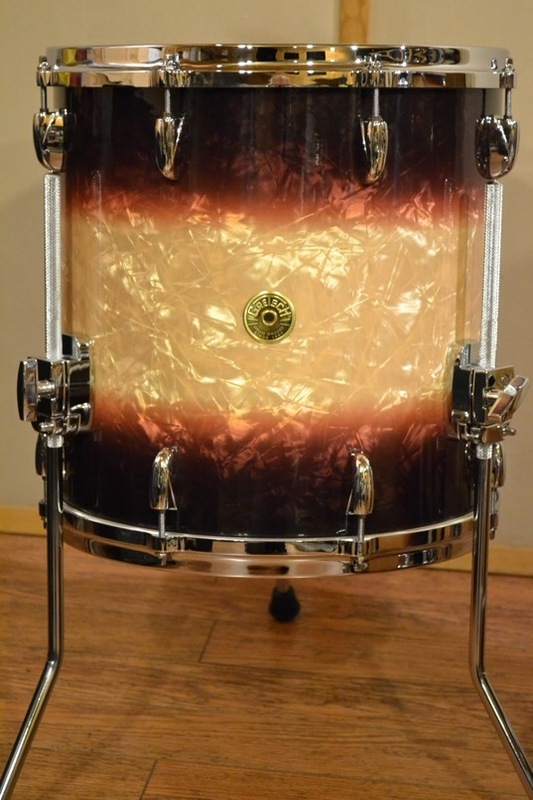 Bass drum hoops will be the same color as the espresso bands and can be available with our without a WMP inlay. Sets will be available in vintage build out or standard build out. Very limited quantities. All sets will have round badges. Call now to order!!!! 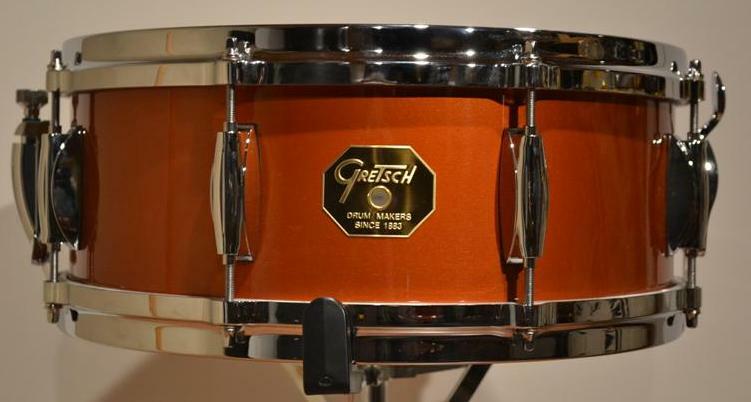 This great finish was designed by Steve and the folks at Gretsch. 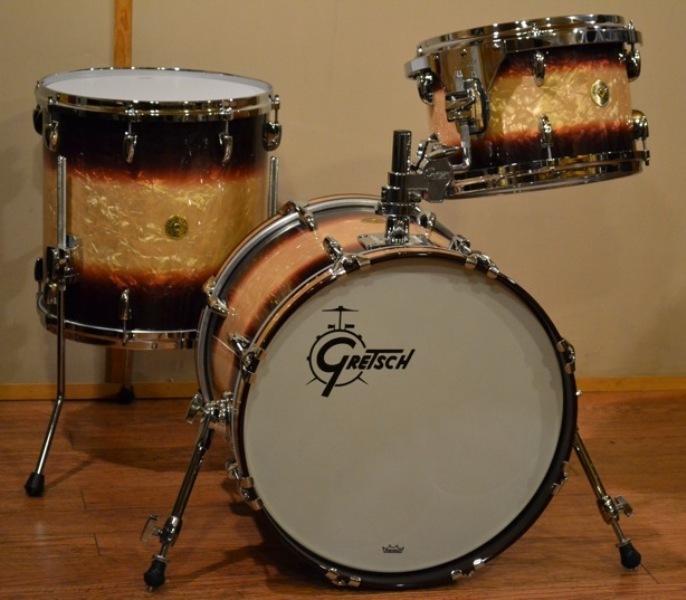 It is a tribute to the original 60s era finish seen on Rogers and Slingerland as well as Leedy. 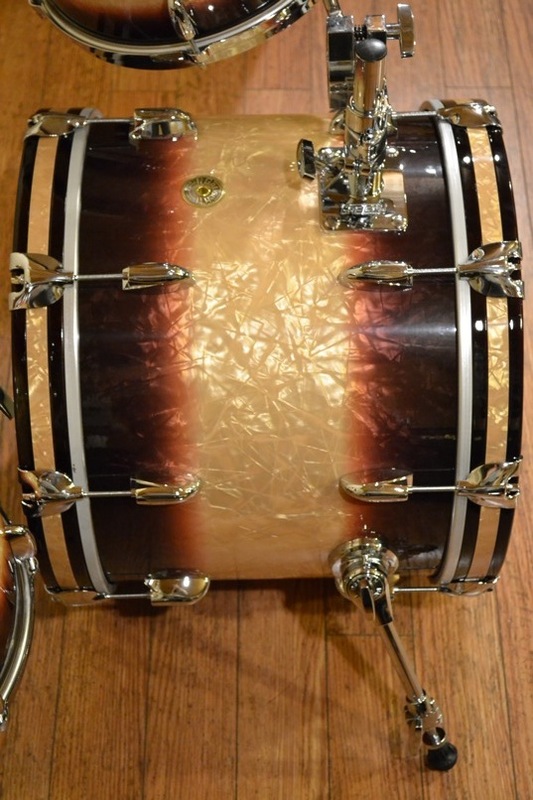 The template for this tribute finish was a 60s era Rogers drum. This finish differs slightly in order to give it it's own unique appearance. This finish was also designed by Steve. Essentially this is the same pattern as mardi gras, but with a white background rather than black. Truly stunning. 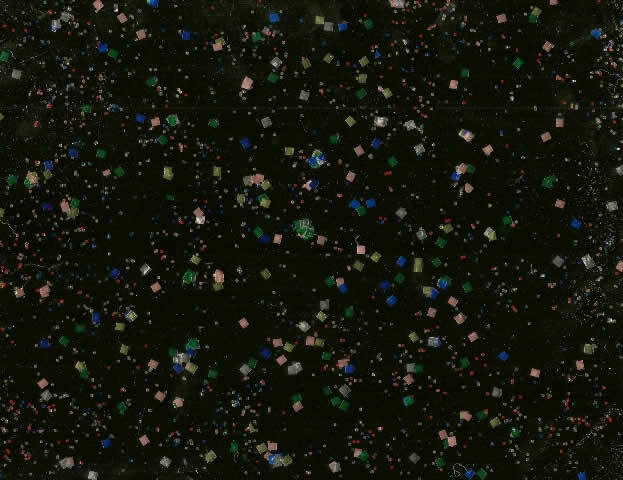 This finish was designed as a conbination of the Mardi Gras and Fiesta Pearl patterns. Since the pattern is the same, and only the background is different, this combination creates a very unique look by alternating Mardi Gras, Fiesta and then Mardi Gras. You can also order it as Fiesta, Mardi Gras, Fiesta. 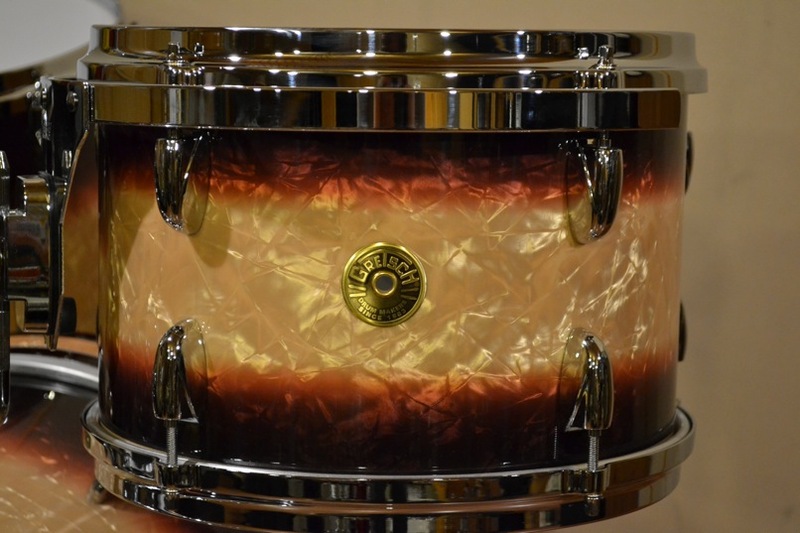 This finish was designed as a tribute to the 50s era copper mist lacquer. This is a very rich and stunning color that looks fantastic. 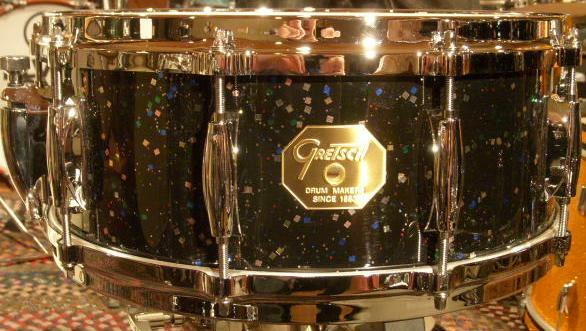 Steve had the idea of using Gretsch's merlot sparkle finish that is only offered on the New Classic series. Now, this same finish is available for USA Custom sets, but only for those ordered through us. 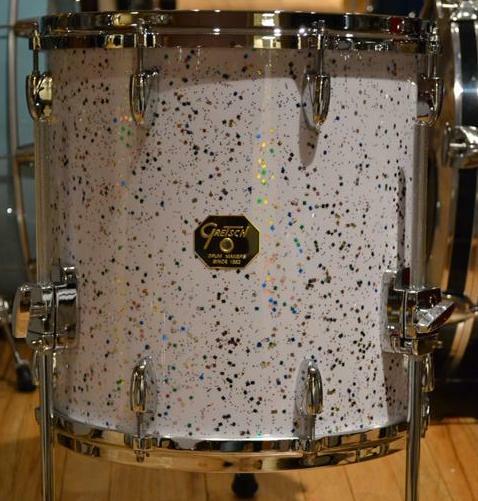 This finish creates a wonderful tribute to the Art Blakey and Mel Lewis sets of the 60s. Both Art and Mel were burgundy sparkle fans. Order a vintage tribute build out in this finish and it's like looking at the sets played by Art and Mel!!! If that's not inspiring I don't know what is.